We have ultimately lost the natural wisdom of our ancestors through dogmatic, idealistic and rationalist approaches to all the major disciplines. These approaches further cultivated a strict top-down rule that spoke of God over Man who was over Woman who was over Nature. No one dared to claim; however, that Nature meaning Essence was also Yahweh, or I AM (i.e., the Universal Self). Realizing this deep wisdom of Nature, holistic health practices exist as forms of healing that consider the whole person -- body, mind, spirit, and emotions -- in relation to the environment in which he or she resides. The ultimate quest of holistic health practices is for optimal health and wellness. One can achieve optimal health -- the primary goal of holistic medicine practice -- by gaining proper balance in life. 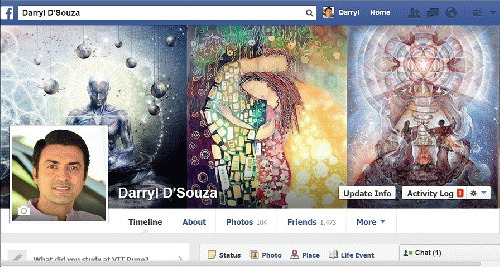 Darryl D'Souza is one such holistic healer. Darryl is a vibrant and committed holistic healer from India who edits the new monthly online magazine on holistic health called CMSE (Continued Medico-Spiritual Education). CMSE helps doctors, holistic healers and the general public learn from one another about maintaining health. His magazine is an initiative of THE WORLD UNITED Doctors' and Healers' Association. The World United Doctors and Healers Association (TWUDHA) was originally founded as New Age Doctors Association. It was founded in May 2007 with the launch of India's 1st CMSE (Continued Medico-Spiritual Education) in the city of Hyderabad, India after a few brainstorming sessions among a group of enthusiastic and dedicated Holistic Health Practitioners. These practitioners came forward to create this platform. They wanted all the health professionals to learn from each other in order to create a global holistic health model. Therefore they morphed into a Doctors and Healers Association under the auspices of The World United.